Which Enterprise Monitoring Software is Right for You? Home » Enterprise Monitoring » Enterprise Monitoring Series: Part 2: Which enterprise monitoring software is right for you? In Part 1 of our Enterprise Monitoring Series, we discussed how to develop an overarching Enterprise Monitoring strategy ». In Part 2, we look at how to decide which tools to use. It’s not as simple as it looks, though. This week, we’re going to review the pros and cons of going open source or proprietary, agent or agentless, as well as give perspective on three monitoring tools on the market today: SolarWinds, Nagios, and Zabbix. What brand names float to the top? Project Size: Rule of thumb is that the larger the project, the better off you are going with proprietary software. A scan report from Coverity ran through 450 million lines of code – proprietary and open source – and found open source software degrades in quality as the project size and scale expands. Cost: On its face, it seems open source wins this point hands down: Licensing costs are one of the major reasons why many small and midsize businesses stay away from proprietary software. However, look beyond the free open source downloads: Do-it-yourself coding and configuration can lead to more costs for which you didn’t plan. Community Code Review: Innovation and new features for proprietary software will go as far as the company creating the code is willing to go. The shackles are taken off innovation with open source projects, with a large community of software engineers from all walks of life contributing and increasing the number of features in their projects. Product Support: The open source forums are a blessing and curse: While vibrant in coming up with new, innovative features, you are at the mercy of the forums if you have a support need. Proprietary software support is only a click or phone call away, and oftentimes comes with elaborate documentation manuals. Install the monitoring tool and its associated software (think SQL databases) on a dedicated server. The monitoring tool discovers and communicates with other servers in the environment. Monitoring tool prepares reports and delivering performance data to a user interface so you can review and take action. Step two – discovering and communicating – can look vastly different with agent or agentless monitoring. Agent Monitoring: You install agent software on every server being managed by the monitoring tool, which gathers and prepares information to pass back to the monitoring server. 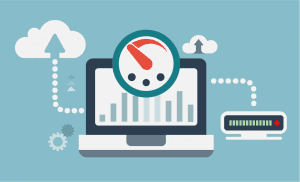 Agent monitoring allows you to manage a wider variety of servers but can slow down the performance of each one, adding to your IT’s staff workload because the software must be maintained and upgraded. If you have a wide variety of systems running in your IT environment, agent monitoring is a safe bet. Agentless Monitoring: With this method, there’s no need to install agent software on each server you want to monitor. The monitoring tool will communicate directly with the server, get information, and exert control. While you don’t have to worry about software version problems, this method will only go as far as the server’s make, model or supported operating system version. If you go this route, make sure the monitoring tool you purchase supports your servers out-of-the-box. If you just have a limited suite of systems to monitor, you will generally get better results from agentless performance monitoring. There are hundreds out on the market today, but we’re going to focus in on the three we talk about most with our customers: SolarWinds, Nagios, and Zabbix. SolarWinds monitoring products have a 20-year proven track record in the marketplace, used by more than 1 million network engineers to manage a wide range of IT environments of all sizes and scale. Its newer monitoring solution on the market, AppOptics, is software-as-a-service based application that offers distributed tracking, more than 150 integrations, and custom metrics that feed into your dashboard, analytics, and alerting pipelines. SolarWinds also offers its monitoring solutions on-premises for those unwilling or unable to leverage cloud computing for monitoring quite yet. While SolarWinds monitoring products come with a heftier price tag and more computing resource needs than their open source competitors, you gain access to a robust, time-tested network of support and development. On the open source software side of the house, you have Nagios and Zabbix. Clients say Nagios XI has a more modern user interface for its monitoring solution than SolarWinds, with support for hundreds of third-party add-ons to monitor virtually all in-house applications, services, and systems. Zabbix 4.0 LTS offers much of the same as Nagios – an enterprise open source monitoring solution for networks and applications that tracks the status of various network services, servers, and other network hardware. While the software for both Nagios and Zabbix is free to download, keep in mind that if you run into issues, you are reliant on the open source community to help. You can’t just pick up the phone and talk to a company engineer as you can with a vendor like SolarWinds. It’s a lot to consider, but US Cloud has you covered. Come back next week as we review the tips and tricks for implementing your enterprise monitoring strategy. Can’t wait? Contact us today to learn more » about how you can implement an enterprise monitoring solution that fits your business.